An eagle atop the Harmony Fire Company, Mullica Hill, NJ. The Harmony Fire Company was established in 1704. 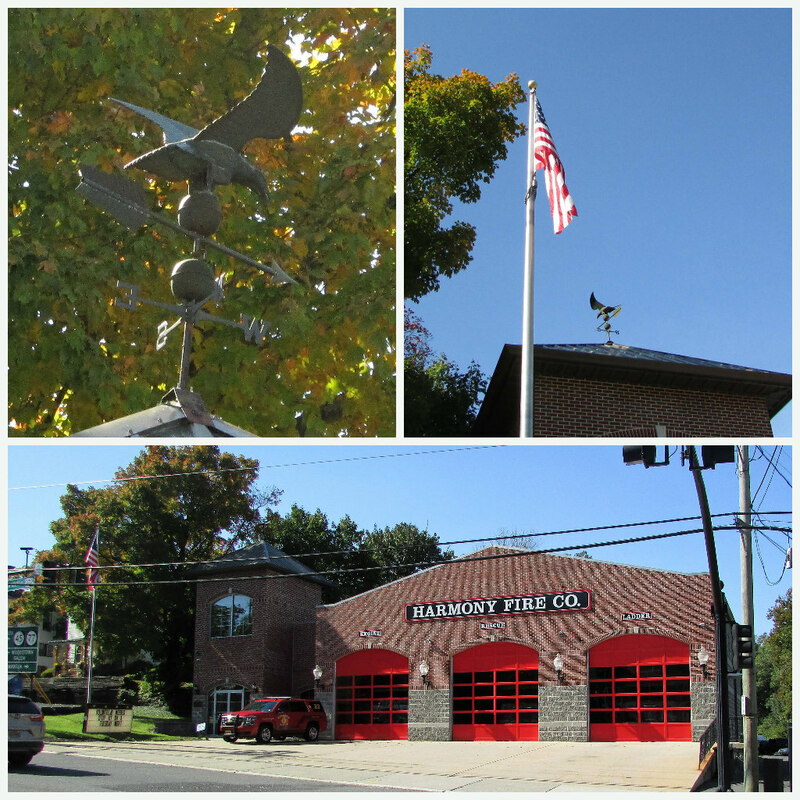 A few more views of the Harmony Fire Company weather vane and station. I love those bright red doors. 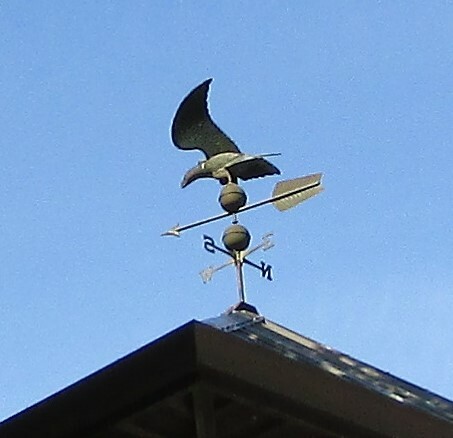 Eagles are one of the most popular weather vane subjects I find in my area.